These are really great - some of the best MUSIC videos I've found on the Web! 1. Our good friend in the Blogosphere, A Simple Jew, was kind enough to send me this link of a wonderful 28-minute movie, a Steven Spielberg project entitled: "A People and Its Music - Hassidic Music." While it has a definite Chabad orientation, it also features the music of Belz, Breslov, Kalev, and, at about 10-1/2 minutes into the film, a scene from the Modzitzer Rebbe's grandson's Bar Mitzva celebration in Tel-Aviv. Stories of several niggunim are presented, including the Chabad "Shamil" tune and "Napoleon's March," and the Kalever's adaptation of a shepherd's song. Singing of niggunim on holidays [Purim] and at weddings are also featured. Made in 1994, this is a wonderful, wonderful film. Thanks so much, Simple! Other films featured in the Jewish Communites section include ones on the Music of Ashkenzic Jewry [Yiddish, Klezmer], Ladino, Israeli music, an Italian composer, Teiman [Yemen], Morocco, and "ethnic" music of seven different groups. 2. Many people are familiar with Reb Shlomo Carlebach's second Mimkomcha niggun. But much less known is his first Mimkomcha, which is a much richer and complex niggun, from the HaNeshama Lach album [his first, 1959]. It is very much in the style that he absorbed from Rebbe Shaul of Modzitz. Even more rare is to see a live performance of this tune - something I was unaware of, until I saw this video, in Quicktime. The video is about 5 mins. long, performed at Woodlake in 1990. Approx. size - 11 MB. Anyone who can identify the "Mimkomcha Brothers" in the video, please post their names in the comments section, thanks! 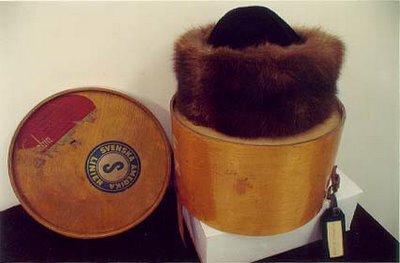 Hat tip: Shaya Rothenberg's Jewish Music and More page, thanks! 3. Finally, some highlights of the Reb Shlomo yahrzeit concert held at Binyanei HaUma in Yerushalayim were recorded by Arutz Sheva, at Yoni Kempinski's English TV program, "Israeli Salad." The video is some 18 minutes long, and has other items on it. The clip on Reb Shlomo and the concert appears just under 8 minutes into the video, and goes for about 7-1/2 minutes, till about 15-1/2 minutes in. You can also download the video from this page. 1. The Rebbe Shlita is still hospitalized at Ichilov Hospital, Tel-Aviv. There has been slow and steady progress in his condition, and noticeable improvement in his breathing and awareness. However, the condition is still very serious - he recently developed a high fever. 2. The Hirhurim piece on "Yankel Radio" is up to 30 comments, including another one from yours truly. 3. Thanks again to Blog in Dm and Hirhurim, I found this link page for Niggunim, including those of Bobov, Breslov, Chabad and Modzitz. Especially interesting is the link for Chabad online streaming radio. Try it, you might find it better than JM in the AM or Five Towns Radio! The following is from Daniel Nakonechny, a friend and fellow devotee of Reb Shlomo Carlebach. He was gracious enough to allow me to post this on my blog in honor of Reb Shlomo’s yahrzeit, which is beginning right now. One word of clarification: Some of us refer to Rabbi Shlomo Carlebach as Reb Shlomo, others as Shlomo. In speaking about him, I use them interchangeably, depending also on whom I’m speaking with. However, when writing of him, especially before an unknown audience, I try to give him the respect by calling him Reb Shlomo. From the very beginning I was never comfortable with 'Reb Shlomo'. It was too artificial. In his own eyes he was 'Shlomo' and only 'Shlomo', and that is how he was known to the world. In my later writings, I very quickly switched to 'Shlomo', and that is how I refer to him to this day…Understand, of course, that many are those who are greater than Shlomo, and no one dreams of calling them Rav or Rebbe or HaGaon, etc. We all throw around Moshe and Aaron, David and Shlomo, Hillel and Shamai, Rava and Abayei, and etc. without the slightest sense of disrespect or diminishing of their stature. That's who they are and how they were known to the world. And so, too, is it with Shlomo. I fully accept his reasoning. Music is such a blessing. In the face of all the difficulties here [in Eretz Yisrael], it often requires almost superhuman effort to lift people's spirits. Words just don't do it. That is why music is so important. It just goes in. It penetrates as if there were no barriers at all. The purer the music the deeper it goes. This is why [Shlomo], of sacred and blessed memory, and his music … [is] so needed. [It] touches the most neglected and forgotten places in the most gentle and loving way. [It] open[s] people's hearts and give[s] them back life and themselves. What a precious gift to bring out the beauty and sweetness and cause them simply to glow. It is the deepest of blessings and today the deepest of needs…I bless you, Yitzchak, that you should continue to open hearts. The sweetness of music restores so many who have wandered so far from who and what they really and truly are. In a sense Rebbes are simply messengers, albeit Holy messengers. Each and every one of them is only bringing us G-d's message, G-d's eternal love call - come back, come home, return to me. From the immortal moment that the Torah came into the world that is the message that the Torah has been calling to us - return. Each Rebbe in his own unique fashion gives us the means to hear G-d's Holy message. Each Rebbe grapples with his share of Divine Light and struggles with how to get it to and share it with as many of us as possible. While each understands that he is blessed to be a conduit, above everything else each accepts upon himself the awesome responsibility of making sure that the G-d's Holy message gets distributed as far and wide as possible. Shlomo's uniqueness, like every other Rebbe's, is that of timing. He came into the world exactly at the moment when he was most needed. Unlike the other great Rebbes, Shlomo had the great blessing of learning and living Torah both before and after we returned to our homeland, Eretz Israel, and the great merit of teaching our generation. We, the generation of return - to ourselves, to our faith, and to our homeland - are influenced by Rav Kook who sees the lights of our returning as the light for the rebuilding of Jews, Judaism, and Israel. He teaches that everything - inside and out - is G-dly, that we must return everything to its G-dliness, and that we must do it now. That G-dliness, our Holiness, is our reason for existence - Rebbes and Hasidim and world alike. That search for and return of everything to G-dliness is Shlomo. As a Rebbe he was blessed with both the insight to see our true Holiness and the ability to make us see it as well. What Shlomo had in common with all the great Rebbes was the uncanny ability of making G-d personal to each and every person. He literally opened up our hearts and souls to that special dwelling place where G-d's Holiness resides. He showed each of us how we are uniquely connected to G-d and he welcomed each of us into G-d's Divine and Magnificent Kingdom. For some of us he opened up the Holy scholar that is inside, for others he opened up the Holy musician, for others the Holy teacher, and for others the Holy listener and friend. Whatever kind of Holiness we possess Shlomo brought it to life. When Shlomo reached out and taught us and cherished us he was giving us G-d's Holy message. Like every great teacher of Torah and every great Rebbe, he fervently hoped that we, too, would reach out and teach and cherish and give G-d's Holy message. Shlomo gave so much, brought into the world so much, and shared so much. He left us with things that had we not crossed his path almost assuredly we would never have received them. Of all his teachings what Shlomo most bequeathed us was to hear song - to want to hear song - to ache to hear song - to know that song is in everything. He taught us to listen to the song of the broken heart and the falling tears, the song of the setting sun and the rising moon, the song of the children and parents, the song of Jews and Jerusalem, the song of husband and wife, the song of Israel and the Holy Temple, the song of brothers and sisters, the song of love and G-d, the song of You and Me, the song of Shabbat and Yom Tov, the song of G-d and Torah, the song of Creator and Creation. He taught us his songs and the music he sang is his Torah, the Torah that he used to connect us to the Holiest Song of all - the Song of the Holiness of Being and Oneness. Shlomo was so connected that he was capable of connecting us, also. For many he was the most connected person any of us ever met. Perhaps what we miss the most about him is just how much he so connected everything and everyone. Perhaps what we search the most for, what we long and ache the most for is the kind of connection that Shlomo had and gave us. Perhaps, just perhaps, one of our most fervent prayers and wishes is that somehow some way we can grasp a little bit of him and become connected ourselves. Let it be a story, Torah, or song. Let it be a blessing, kind word or other mitzvah - whatever, just as long as it lets us be connected. Let it be that I am imitating what I think Shlomo would do, it really doesn't matter. I only want to be connected. It's Gevald! There are people who didn't know Shlomo, who never met him, and who never even heard him perform, yet they are all thirsting for his help to make the connection. Where does it come from?! There aren't that many books about Shlomo, or that many books of his teachings, and he didn't leave a yeshiva or other formal organization. The answer is that he left two things that would let him come to Jews who couldn't come to him. He left as many sweet and Holy Yidden as he could possibly find and connect and he left his music. And he left each for the other. Where one couldn't get to or reach the other one would, and when one started stumbling the other would pick him up - the song the Jew and the Jew the song. More than anything Shlomo wants us to hear the song and to know that the song of Shlomo is G-d's Holy song and that G-d's Holy song is the Torah. More than it was given at Sinai we, the Holy Jewish people, brought it into the world because we want the world to have G-d's love. We want the world to have it and we want it for G-d's sake. G-d's Torah is a Holy love song, one song of eternal longing for eternal connection one song of G-d and the Jewish people one song of eternal love of eternal lovers. Shlomo sang G-d's love song and he taught us to hear it and sing it. With the help of our Holy Rebbe we are continually bringing G-d's Holy song into the world and once a year we return to sit at G-d's feet and listen as the Master of the Universe sings His Holy song again. THE HAPPY MINYAN and THE SHLOMO CHEVRA OF LOS ANGELES invite you to join us in giving Kavod and celebrating the life of Reb Shlomo Carlebach on his 11th Yahrtzeit (16 Cheshvan). THIS started as a discussion [entitled, for some reason, "Yankel Radio"] of which online radio program is preferable, "Five Towns Radio" or "JM in the AM" [Nachum Segal], but the discussion in the comments section has a lot about Modzitz niggunim, with yours truly participating. As of now there are some 27 comments. Check it out! New York broadcaster Nachum Segal today will be hosting a livetwo-hour special featuring the music of Shlomo Carlebach. The program starts at noon EST. Nachum's on-air shows tonight and tomorrow morning will continue with the Carlebach-only format. Carelbach, who is said to have composed approximately 1,000 songs, performed the world over - in places like Carnegie Hall in New York and the Opera Palace in St. Petersburg; Morocco, Australia, France, Germany, Austria and Israel, as well as synagogue basements and college coffee houses. You can listen to all three shows via Nachum Segal's website. YAHRZEIT OF THE MONTH : US & THE WORLD! This past Shabbos, Lech Lecha, the Young Israel of Sharon hosted a Shabbaton in tribute to Rabbi Shlomo Carlebach's 11th Yahrzeit. Guests included: Rabbi Gedaliah and Rebbetzin Zehava Druin, Rabbi Gedaliah Fleer, Rabbi Avraham Newman, Rebbetzin Chaya Poretsky, Rabbi Dovid Staloff, Rabbi Moshe Stepansky, Rabbi Nossen and Rebbetzin Channah Schafer and, in from Israel to lead the singing and dancing, Ben Zion Solomon of Moshav Modiim [Reb Shlomo’s Moshav]. Am Kolel' s Jewish Folk Arts Festival Concert, Saturday night, November 19, at 8 pm in commemoration of Reb Shlomo's Yahrzeit will feature David Shneyer and the Farbrenghen Fiddlers, Avraham Rosenblum of the Diaspora Yeshiva Band, Chazan Sunny Schnitzer, and storyteller Noa Baum. Details are here. 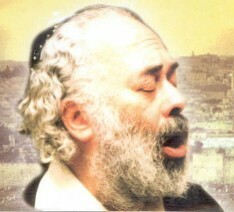 Reb Shlomo Carlebach z"tl eleventh yahrzeit memorial Melave Malka. Join us for songs, stories, and snacks on Sat. Nite, Nov. 19 at 7:00 p.m. at the home of Ronit and Menashe Brakha. R. Shaanon Gelman, Rabbi Goldberg, Rabbanit Rock, Dr. Moshe and The Kollel Rabbis and a MELAVE MALKA with YACHAD, the band that brings Reb Shlomo’s music to life Music. Singing and Dancing, Videos and Stories. Emceed by Reb Yankel Dinnerstein of Ohr Ki Tov. Click on this link for a brochure of the 2nd Annual International Carlebach Conference in Manhattan including an unprecedented gathering of Carlebach-inspired teachers, workshops, concerts, a Shabbaton, and dinner finale from Nov 17-20. YOU CAN PURCHASE A SINGLE DAY OR CONCERT OR THE ENTIRE CONFERENCE (click on additional links for full schedule, bios, and registration). "Once again, The JCC in Manhattan will graciously host the conference on Friday and Sunday. The Carlebach Shul, as well as other venues, will be used for the davening, meals and special events. This year’s theme, ‘The Power of Music’ is something that is close to the hearts of those on the Carlebach derech. We know Reb Shlomo inspired many with his heavenly niggunim. These niggunim opened up gates in the powerful places in one’s soul to experience emotions that called forth yearning, sadness, and hope. Reb Shlomo's music is not just about the music; like him it is larger than life, calling out for us to be better, to dream, and to love. Music has power. It is often misunderstood, often abused and has often become a handmaiden to a culture of drugs, and even violence. Because music is not just a soul, it is also a garment, an instrument that can be directed for the good and for the bad of humanity. We want to bring peace to our land and the sense of the spiritual to our youth. Reb Shlomo’s music is that portal. Join the leading teachers, musicians, Rabbis, Rebbitzens and Chevra in helping to create this reality." Among the many stars featured [and some "topics" in brackets] are Rabbi Naftali Citron, Rabbi Avi Weiss, Ben Zion Solomon ["How to Lead a Carlebach Minyan"] and Sons, the Moshav Band, Hasidic New Wave with Yakar Rhythms, Yehuda Green, Yitzchak Buxbaum, Rabbi Avraham Arieh ["Finding Your Own Song"] and Rebbetzin Rachel Trugman, David Zeller, Rabbi Dr. Nechemia Polen ["Music and Melody in the Chassidic path of the Piaseczno Rebbe"], Mindy Ribner, Noach Solomon Chase ["Anatomy of a Niggun"], Rabbi Avraham Sutton, and Rabbi Yehoshua Eliovson ["Applied Shlomo - Distilling his Pioneering Methods for New Programs"]. On December 3, 2005 the largest ever mega-concert of Carlebach music, The 11th Annual Carlebach Yahrzeit Concert, will be held in Teaneck. This year, as part of the inauguration of the new Carlebach Congregation of Teaneck, the Carlebach Shul in Manhattan has joined the Teaneck Congregation to bring this one and only official concert to Teaneck. The event, hosted at Fairleigh Dickinson's Wilson Auditorium, will have an audience of over 400 people, and advance tickets are being sold over the Internet. One month ago we came on shlichut [a mission] from Eretz Yisrael to Moscow to teach Torah and Yiddishkeit [Judaism]. We have the feeling that it is the first time that Reb Shlomo's friends and "followers" are coming here since the last time he was here at 1989. The Jewish communities here never learned Torah the way Reb Shlomo was teaching it. So even though we don't really know how to do it so well, it appears to be a great chiddush [innovation] here. Last Shabbos we had a Shabbaton outside of Moscow, and we got very good responses. Next Shabbaton is [Parshat] Chayei Sarah. --Yacov and Miral'e Drori. I know that I’ve been writing a lot this month about yahrzeits, but this one’s a real biggie! For those not familiar, a yahrzeit is the anniversary of a person’s departure from this world. The word is a compound one: “yahr” meaning “year,” and “tzeit” [or “zeit”] meaning “time.” So a yahrzeit is an anniversary, a year’s time. It is also referred to, in Aramaic, the language of the Talmud, as a “Hilula”, which is really a joyous event like a wedding. For when each year, on the yahrzeit, a person’s soul ascends higher in Heaven. And we here on earth remember them – for their good deeds, their Torah insights, and, for most of the people I write about here – for their music. 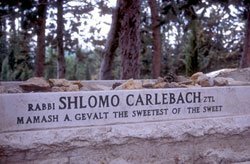 So, in a week’s time, we have the yahrzeit of none other than Reb Shlomo Carlebach, zt”l. This day, the 16th of Cheshvan, is commemorated around the world, with singing, Shabbatons, concerts, learning sessions and of course, story-telling. I will try to point out the various activities taking place, in this post, and perhaps again later during the coming week. I am writing to invite you to The Efrat Reb Shlomo Carlebach Festival and Memorial Shabbaton. The Festival and Shabbaton will held on be on Nov.18-19 at the Shirat Shlomo Synagogue in the Retreat center. Shabbat day: Reb Shlomo's nusach for Shacharit and Musaf; Lunch at hosting families. When: Shabbat Parshat Vayera November 18-19. Where: Efrat with home hospitality assignments. For those interested there is a possibility to sleep at the retreat center. Fee: 170 shekels singles, 280 couples, 60 shekels for children under Bar/Bat Mitzva, 85 shekels for teenagers, soldiers and the work/study positions. There are ten work/study positions. For an information packet and or to register you can e-mail Yehoshua Rubin at yehoshuaannette@yahoo.com or call 050-710-6448; 02-993-3153. Okay, I know there are lots of events in the US too. New York, Boca Raton and Massachusetts are just some of the places I’ve heard from…more to come! IMPORTANT UPDATES - MODZITZER REBBE and More! 1. The Rebbe Shlita is still hospitalized at Ichilov Hospital, Tel-Aviv. There has been slow and steady progress in his condition, and noticeable improvement in his breathing and awareness. However, the condition is still very serious. Our tefillos [prayers] are still needed urgently. 2. The sefer Imrei Aish, from the previous Modzitzer Rebbe, Rebbe Shmuel Eliyahu, who was the Rebbe from 1947 until 1984, has just been published. It is a beautiful 2-volume set, on the entire Chumash [5 Books of Moses], Holidays, negina and more. More about this later. 3. 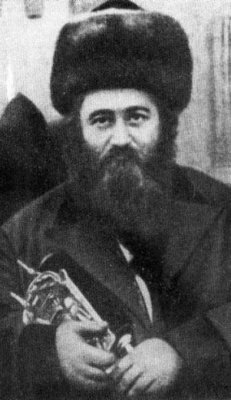 In the last day or so, I have updated the posts on both the Piaseczno Rebbe and the Rizhiner, including a picture, links and more about their niggunim. Please be sure to review them, and your comments are most welcome! At the first Knessia HaGedola [Large gathering] of Agudas Yisrael in 1923, a young man named Rabbi Meir Shapiro presented a revolutionary idea - that Jews all over the world could learn a folio [or Daf] of Gemara each day, and in 7-1/2 years, they would complete the entire Shas or Talmud. Known as the Daf HaYomi, or daily folio, this brings Jews the world over a "common denominator" of learning. Moreover, if one needs to travel, as Jews so often do, they could find in just about any Jewish community, a shiur [daily lesson] on that day's Daf. 72 years later, after several siyumim [completions], Rabbi Shapiro's plan is going strong throughout world Jewry. Last year's Siyum HaShas included a Siyum, with the Modzitzer, Sadigora and Nadvorner Rebbes, in the building which once housed Rabbi Shapiro's famous yeshiva, Chachmei Lublin, in the town of Lublin, Poland. "In a broken, barely legible scrawl he wrote, 'Let everyone drink L'Chaim!' Some liquor was poured out into tiny glasses, and all who were there drank and wished him L'Chaim, 'to life!' Then he shook hands with them all, one by one, holding each one's hand in his for a long time. And now he gave his instruction, "Make a Rikud (a little Chassidic dance) to the words, 'b'Cha Batchu Avoseinu' ("In You our fathers trusted, and You rescued them"; Tehillim 22:5). His wishes were obeyed: they joined hands, put hands on shoulders, and lifted their feet in rhythm as they sang the holy words to the melody they knew so well - the melody which he himself had composed." This and nine other niggunim that Rabbi Meir Shapiro composed are on the recording "Nigunav shel Rabbi Meir Shapiro ZtL MiLublin," sung by R. Menachem Klein and put out by Aderet Music in Brooklyn. This Shabbos, Parshas Noach, is also Gimel [the 3rd of] Cheshvan, the yahrzeit of Rebbe Yisrael of Rizhin, the "Heiliger [Holy] Rizhiner." The Rizhiner said about music: "Just as a mikveh purifies, so too does a niggun purify." The Rizhiner was a great-grandson of the Maggid of Mezritch, who succeeded the Baal Shem Tov as the leader of the Chassidic movement. He brought Malchus, royalty, back to Am Yisrael. His Shul was very ornate - like a palace - and he had a special choir and orchestra that sang and played niggunim. "Approximately one hundred and fifty tears ago, absolutely one of the greatest, absolutely most, not earth-shaking but soul-shaking holy masters in our tradition passed away - the Holy Rizhiner. I want you to know something unbelievable. King David, how should his crown [not] move down [onto] his nose? But the answer is - he had a little bone sticking out, a tiny little bone which held up the crown. And since the destruction of the Temple, even all those people who are descendants of King David didn’t have this bone. And for the first time, in those eighteen hundred years since the destruction of the Temple, suddenly Rebbe Yisrael Rizhiner had the little bone. Mamesh he was absolutely a descendant of King David. And you know, with his yarmulke, he always had the yarmulke down to his eyes because he didn’t want anyone to see it." "But anyway, until the Holy Rizhiner came around, it was like all the Holy Masters were always shleppers and poor people. But this is not what kingdom is all about. He really wanted to re-establish the Kingdom of King David. And you know, he built a palace in Rizhin, and it was so beautiful that the King of Italy wanted to build a palace, and he sent secretly an engineer to copy the palace of the Holy Rizhiner. And it was mamash awesome, awesome, awesome." We don't have too many niggunim from the Rizhiner. Reb Shlomo Carlebach always introduced this niggun as the Rizhiner's, although most Chassidim say it's from the Baal Shem Tov. Perhaps Reb Shlomo heard it from Rizhiner Chassidim, who perhaps "inherited" it from the Baal Shem. On the second Chassidei Sadigora recording, "Racheim B'Chasdecha," there is a niggun dveykus which they attribute to Rebbe Yisrael of Rizhin. For more on the Rizhiner, see the Nishmas Chayim website. What a lovely gift the good L-rd has given us, when every month we are renewed with Rosh Chodesh - the beginning of the New Month. This is a semi-festive day, on many accounts. In the Beis HaMikdash, the Holy Temple, a Korban Musaf [additional sacrificial offering] was brought, and the Levites sang Shira. Hallel prayers are recited, and our meals are a bit more lavish than those of a regular weekday. Indeed, we find in sefer Shmuel [I Samuel, Ch. 20] that King Shaul held a festive meal on Rosh Chodesh. People would visit the Navi on Rosh Chodesh, as on Shabbos, as we find in Melachim [II Kings, Ch. 4]. Although work is permitted, it is advisable to avoid strenuous work, and women do not engage in weaving, stitching, embroidery and sewing; some also refrain from doing laundry. In addition, Rebbe Shaul Yedidya Elazar of Modzitz says that Rosh Chodesh shows that the Jewish People are above time. Hashem gave the power to the Jewish People to sanctify the New Month, meaning that He placed time in their hands. They are thus above time. The joy and the festivity of Rosh Chodesh are associated with our Hallel prayers, which include the verse: "This is the day which G-d has made, let us rejoice and be happy in it" [Tehillim, 118:24]. With this in mind, a new-old "tradition" has begun to spread, where some Rosh Chodesh minyanim have started to daven accompanied by live music - usually guitars, but they can also include accordions, keyboards, tambourines, drums, trumpets and flutes. This was started by Reb Shlomo Carlebach, who often had musical accompaniment on special occasions such as Chol HaMoed. [See the Hallel of the famous Hoshana Rabba video here]. 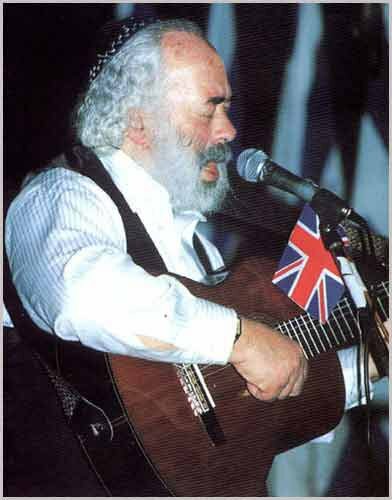 In addition for the many tunes he composed for Hallel, two of Reb Shlomo's notable compositions for Rosh Chodesh are his "Mizbeach Chadash," and "Ahavas Olam." One of the foremost purveyors of this newly developing phenomenon is the Beirav Shul in Tzfat, Israel. The Carlebach-style minyan there, started by Shmuel Polsky [gabbai] and Meir Glaser [Baal Tefilla], has been going strong since 1997. Almost every Leil Shabbos [Friday night], the Kabbalas Shabbos crowd spills out to the street outside the Shul, for it is so crowded there! "Rosh Chodesh: several times a year, the Beirav congregation welcomes the new month with a special Hallel prayer featuring guitars, drums, trumpets, flutes and magic. Rosh Chodesh Elul is an especially popular event. Chol Hamoed Sukkot, Hoshana Rabba and Chol Hamoed Pesach: at Beirav, holiday Hallel prayers are magical and memorable, thanks to the scores of musicians who come to Tzfat especially to participate in them. In fact, busloads of Beirav devotees come from far and near to join in these unique, uplifting tefillot. Many of these special Hallel services have been recorded on video. Here in Jerusalem, I have been privileged to have organized a number of these minyanim, on various Roshei Chodesh. 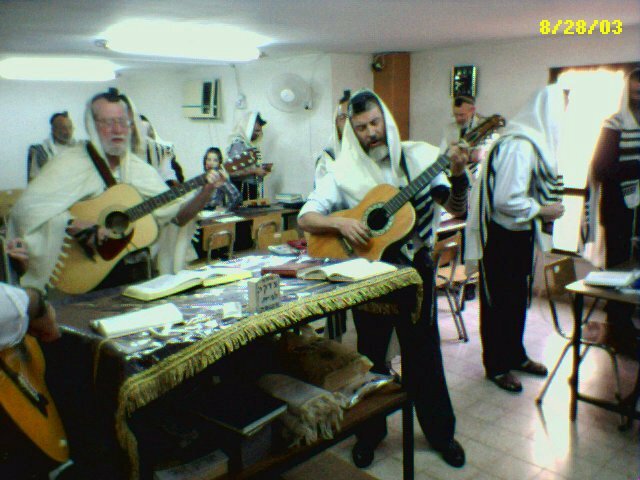 In fact, the picture above is of Meir Glaser of Tzfat, who once came to Jerusalem to lead a Rosh Chodesh service [Yitzchak Miller, the other guitarist, davened Musaf] . I can only tell you that it is an experience that must be had, at least once - but [as they used to say about a certain potato chip] - you probably can't do it only once!